Medical Staffing Network offers travel nurses excellent career opportunities at hundreds of exciting destinations across the U.S.
Their 13-week contracts are flexible enough to work with your lifestyle and find the right balance of work and play wherever you choose to be. They have client partners all across the United States (even Alaska and Hawaii! ), so chances are they have an assignment where you want to be. At this time MSN focuses its travel nursing assignments on the U.S. only. MSN has over 55,000 healthcare professionals in their network, more than 60 local offices, two travel offices and over 600 corporate employees who work hard every day to ensure that their nurses and other healthcare professionals receive the personalized service they deserve. Their professional recruiters and staffing coordinators are trained to provide unparalleled customer service. They’re available to assist their travelers 24/7/365 with whatever they may need. Their clinical liaison at this time is Marisa Zaharoff, MSN, RN, Medical Staffing Network’s Senior Vice Present of Performance Outcomes and Chairperson of our Clinical Quality Council. She is available 24/7. MSN received Joint Commission Health Care Staffing Services Certification in 2005 and has been re-certified each two-year renewal period since. MSN is also a member of NATHO. Recruiters are trained, experienced professionals who are committed to making sure the hiring process is as smooth and seamless as possible. They are matched with nurses based on geography, so they have a familiarity with the particular job market. Should issues of “fit” arise, they would be addressed by the recruiter’s supervisor to the nurse’s satisfaction. MSN offers healthcare professionals medical insurance through Blue Cross Blue Shield. Dental coverage is provided by Delta Dental, and vision coverage/discounts are provided by VSP. They do provide a 401k with some company match, which is decided by the management team every December. Medical Staffing Network offers a competitive benefits package that includes: free individual medical insurance and dental coverage, free short-term disability coverage, free workers compensation coverage, free private housing or subsidy, licensure reimbursement, and free continuing education. They also offer matching 401(k), bonuses, online access to pay info, discount savings programs and more. 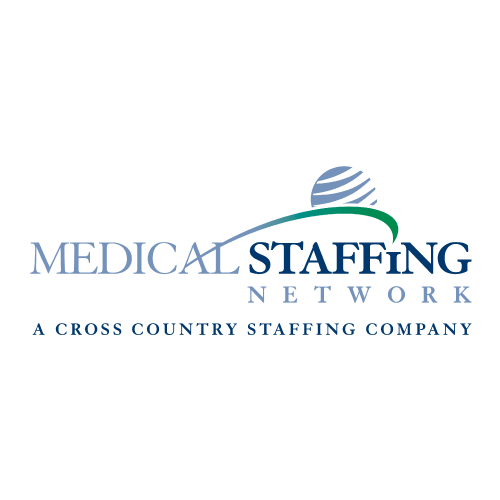 Medical Staffing Network is the only healthcare staffing firm you’ll want to work with for your entire career. As a top-ranked provider of healthcare professionals, MSN has the flexible travel (and local) opportunities you want, and the pay and benefits you deserve. They respect you and your career, so they only present opportunities that are right for you. They offer a variety of practice settings at top healthcare facilities across the United States. With MSN you get the opportunities and support that come with an established national leader in the industry, and the personalized service you’d expect from a smaller local agency. Finally, we have received Joint Commission Health Care Staffing Services Certification every renewal period since it began in 2005, which means you’d be working with a company that passes the rigorous certification process that ensures only the highest levels of patient care.